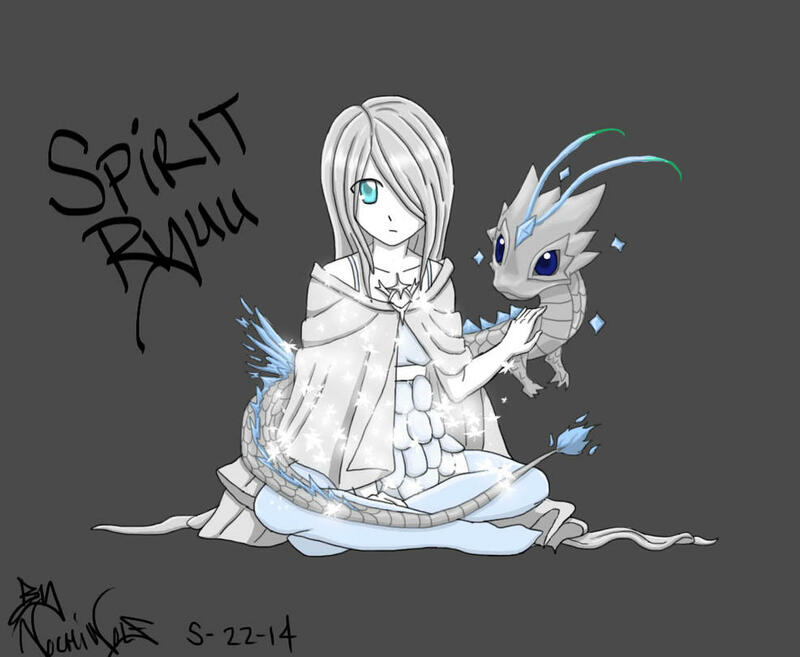 Hello I'm Spirit Ryuu, but just call me Spirit. I do not know how I died or why I am a Dragon Spirit. I don't remember much of anything. Emotions are not something I show or understand, so I may just look at you blankly. This is Ryuu my dragon. Her and I are connected, we travel around trying to understand those who are living, and hopefully one will know who I was before I became like this.